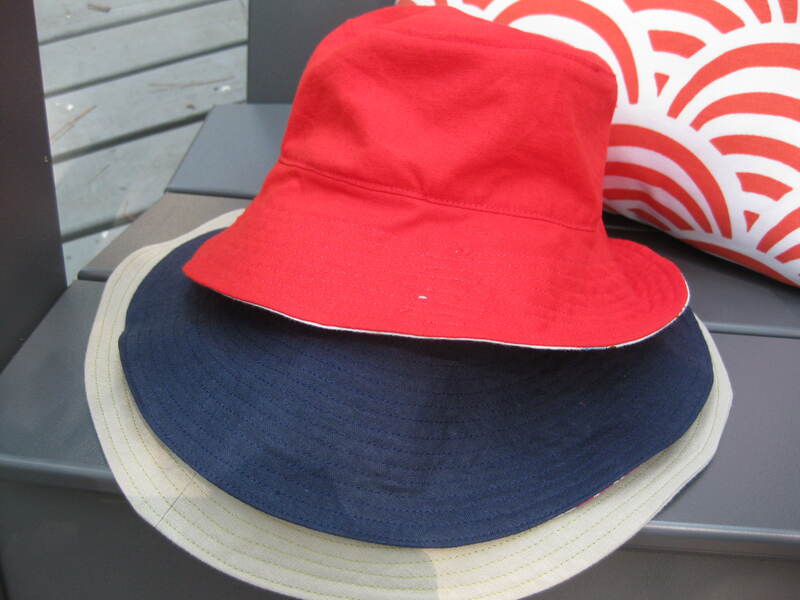 Not Charlie Bucket and clan, but bucket hats. I made a complete set for all our noggins. It was my first attempt at sizing up a pattern (from the Little Things to Sew pattern) and it worked pretty well! I used Robert Kaufman Essex for all three exteriors. My husband declined a “fun” lining, so his hat has olive green in the crown only, but I did sneak in some green top stitching. 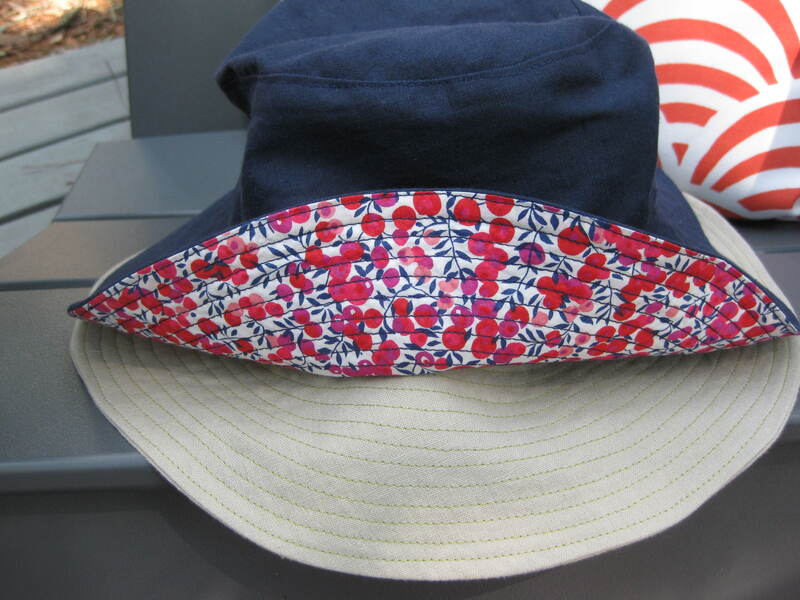 My navy blue hat has Liberty Hot Pink Wiltshire as the lining. The Tana Lawn is so silky smooth it’s perfect for lining a hat. It would be excellent for a baby’s senstitive skin–plus you would only need a teense.